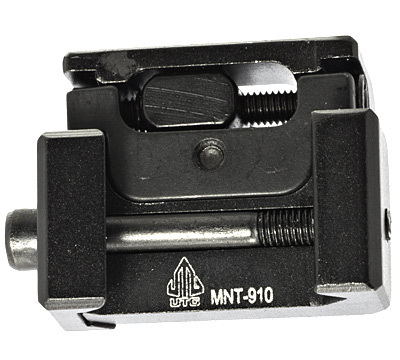 UTG New Gen Sub-Compact rear sight for the Ruger® 10/22® rifle, .22 rifles, 22 Charger™ pistol, and shotguns. Features include precision machined parts from aircraft grade aluminum with hard anodizing matte black finish, one piece integral mounting deck fits with any picatinny/weaver rail, includes windage/elevation adjustment in super compact design, optimally sized aperture for quick target alignment and minimum obstruction of the shooters view; windage and elevation adjustment indexed by vertical and horizontal reference lines to aid zeroing, includes 2mm Allen wrench for sight adjustment and 2.5mm Allen wrench for mounting deck locking. 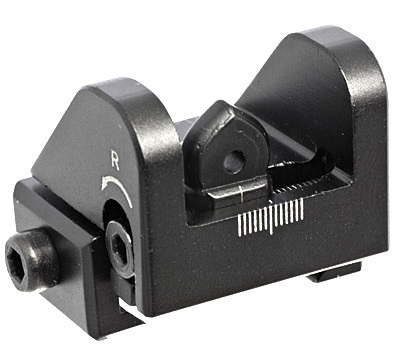 Match this rear sight with the UTG Tactical front sight (Ruger item 12903). 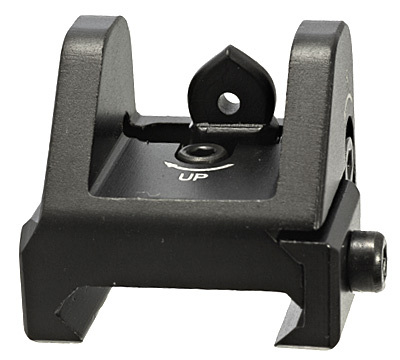 Made by Leapers®, Inc.
this is an outstanding fully adjustable rear target sight Of course you must purchase the front sight. I love having the ability to use open sights on my Take-Down Charger. I also used a see-thru red dot mount so that i could have the best of both worlds. See my front sight review. Great quality both front and rear sights. Both come with allen wrenches for attachment and adjustment, always a plus. Both look great and great fit and finish. Made in Murica what more do you want. Buy em.